I’ve had several conversations with the council and the infrastructure provider, IDAQ Networks, over the last few months, and have some updates to report on how the service is going to work, and how the local digital community might be able to get involved in shaping the service as it evolves. First of all, it’s worth mentioning at the start that ‘Sheffield Free Public WiFi’, as its SSID will be named, is looking like it will be the largest and densest city WiFi system in the whole of the country by the end of the Phase 5 rollout, by which point it will have deployed more than 220 access points. This density, and the resultant high level of service, is related to the unique business model that underpins it. More about that below. When the roll out of the city WiFi was announced in the local press back in February, there was a lot of comment about the use of personal data and the likelihood that the service would be selling user data to third parties. In fact there was pretty much an assumption that another tentacle of the Global Surveillance Economy was coming to Sheffield. We now have a much clearer view of what’s going to happen in reality. First, IDAQ’s business model for the wifi is in no way based on building and selling user profile data, and they have no intention of collecting any personal data beyond what is needed to run the service. They will be collecting aggregate data, such as how many people use the service, when and where etc, but only in a way that is separated from identifiable data and does not allow for de-anonymisation. Second, they will of course also be subject to GDPR, which means that users will have complete control over their data and how it is used, be able to request what is stored about them at any time, request that specific data is removed, and by law would need to be informed whenever their data is transferred or sold to a third party (which it won’t be anyway). There may be occasions where users are asked to opt in to providing identifiable data, for instance to receive certain kinds of personalised notification, but this will be compliant, clear and likely confined to specific apps rather than the platform itself. Much of the work that IDAQ are putting into the initial software platform that will provide users with access to the service is to make the system fully compliant with GDPR. IDAQ’s primary business model is to use the WiFi infrastructure to provide residents and businesses in the city centre with high quality wireless broadband. We think this is very good news for Sheffield, for a number of reasons. 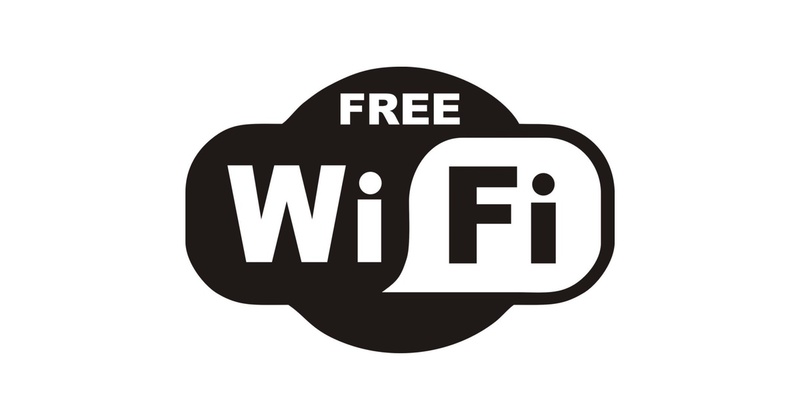 First, it means that the service has a very specific commercial business model at its heart, which is not based on collecting, categorising and selling data, promoting affiliate links or profile-building for targeted advertising (unlike many other public wifi systems). Second, it means that IDAQ are additionally incentivised to provide an exceptional service, both from a service provision point of view (hence the bulletproof additional density and network resilience) and from a usability point of view, as who would buy broadband from a company who’s public WiFi experience is poor? Third, it also helps the service costs as the wireless system will not require digging the roads up (again) to lay new fibre, which also helps the business model as the reduction in capital costs mean the service can reach break even quicker, which in turn should allow IDAQ to reinvest profits sooner. And finally, it provides a much needed additional option for city centre connectivity that should increase competition and reduce prices for residents and businesses located within the Sheffield BID area. It should be noted that upselling broadband connections is not the only business model in play. 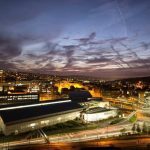 The service will likely also be developing revenue streams from sponsorship and some forms of advertising (for instance from Sheffield BID levy-payers), and, potentially also providing paid access to aggregate data feeds and other technical services that the network will support such as Bluetooth LE and LPWAN. A basic tier, which will offer 24 hours of service without needing any registration details at all. This is specifically designed to allow people who do not have any digital presence, even an email address, to get themselves on to the network and able to access services. They can do this themselves, or a worker from a local service or charity can help them get going. This is in line with Sheffield’s status as a City of Sanctuary, and the city’s general civic-mindedness. The second tier is the standard tier which provides access at up to 20Mbps up and down for free. Users will have to register to access this tier, and they will be encouraged to download an app (more about which later on in this update) which will automatically authenticate them and provide an easy way to manage their registration details. Both of these first two tier are filtered, of course, and have a number of download restrictions to prevent misuse. The third and final tier is the commercial tier, i.e. IDAQ’s broadband service for city centre residents and businesses. This kind of access will be unfiltered and unrestricted, within the parameters of UK law, and will presumably come in a number of speed flavours, although I don’t know what they will be yet. I do know, though, that the technology being developed by IDAQ will also allow city centre residents to effectively extend their home WiFi access across the whole of the city centre. In other words, users who buy IDAQ’s home broadband service will be able to walk out of their front door and across the city centre, while staying connected to their own unfiltered home network connection, and all the services they have enabled. So everything they are able to do at home, they will be able to do when out and about in the city centre as well, with exactly the same security. We don’t know of any other city that has this, so potentially it’s a groundbreaking and unique experience that Sheffield can offer to its rapidly growing community of city centre residents (which is now close to 30,000 – a huge increase from around 5,000 fifteen years ago, according to the State of Sheffield report). Another area we highlighted last year was the importance of ensuring that the service puts users at the centre of its design, and provides an excellent experience. There are now a few things to say about this. First, IDAQ are racing to get the basic software platform in place so that the service will be able to accept users from the off, and they are not able to concentrate on the holistic user experience in a comprehensive way. However, they do understand the importance of user experience and would like to engage with the local community to help them understand this better. This might be via a session at the UX Sheffield meetup (which will hopefully happen next week, the 30th May), and/or a lunchtime workshop to get input from practitioners that could work its way into subsequent upgrades to the initial experience. Perhaps the most important thing from our point of view is to provide more information to local UX practitioners about the context and constraints the WiFi system is working within. I think a lot of people are interested in this, and the more people who understand the technical and regulatory landscape the WiFi is operating in, the more opportunity there is for people to suggest positive improvements. To me, this is a key benefit of the Council awarding this contract to a local provider who are open to input, rather than a large national or multinational who are spread across several cities and are unable to provide a bespoke experience that reflects local needs and desires. The final aspect of the service that we’re very interested in, and one in which I think Sheffield can further distinguish itself from other cities in terms of ease of access to its digital services, is via what is generally called the ‘City App’. The ‘city app’ forms part of most city wifi services, as it provides users with a way of permanently authenticating themselves and editing their registration details (including removing themselves from the service), and also provides a mechanism for the service provider to present their messages, including advertising etc. Most city apps also have links to local services and amenities such as museums and visitor attractions. We have an opportunity to do something different – something better and more aligned to our city and the needs of citizens. I think people desperately need new ways of discovering relevant digital services that improve the way both residents and visitors experience the city. My ideal would be for the app to include a directory of services and digital experiences, a City App Store, if you like, perhaps similar to the Our Favourite Places curated directory of city amenities that Eleven Design operate. 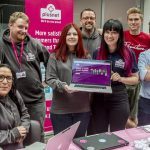 This would have links to the best digital services the city has to offer, whether actual apps, or web services, or the progressive web apps and physical web experiences that are likely to emerge over the next few years. There are obviously constraints of course. Contractually, IDAQ are required to provide an app for the purpose of running the service and can provide advertising and sponsor messages on it. But they also must provide space for the council and the Sheffield BID. The council also have certain obligations as a public body, including not being allowed to recommend some independent services and providers over others, and as a partner, the Sheffield BID are tasked with making sure the service serves the needs of their city centre levy payers, so the issue of curation will be contentious. Furthermore, IDAQ are making a significant investment in the infrastructure that they need to be able to recoup, which means that services made available through the App must not “eat their lunch” in terms of business model (including advertising even if that isn’t intended to be the service’s main revenue stream), or create a risk vector that could undermine their business – either directly through security flaws or through reputational damage by association. So aside from technical, contractual, financial and usability issues, there would be significant curation and gatekeeping issues around such a service as well. Having said all that, though, I still have great hope the parties can come to an agreement as to the services offered through the platform, and that this will allow for a city “App Store” along the lines I imagine. The benefits are overwhelming, in terms of discovery and accessibility and the resulting reduction in innovation costs. Basically, if the city app is viewed by thousands of people each week, and the service can be used to prominently feature, and immediately access, new services, the ease of making new city experiences increases as the cost of getting people to discover and use them decreases. This will encourage many more people to design and build entirely new ways of engaging and interacting with our city. Anyway, we are actively looking into this possibility with the parties, and hope that we can develop the idea into a live project sometime this year. So please get in touch by emailing chris@sheffield.digital if you’re interested in being part of these discussions and… watch this space!